The modern desk is both stylish and versatile. 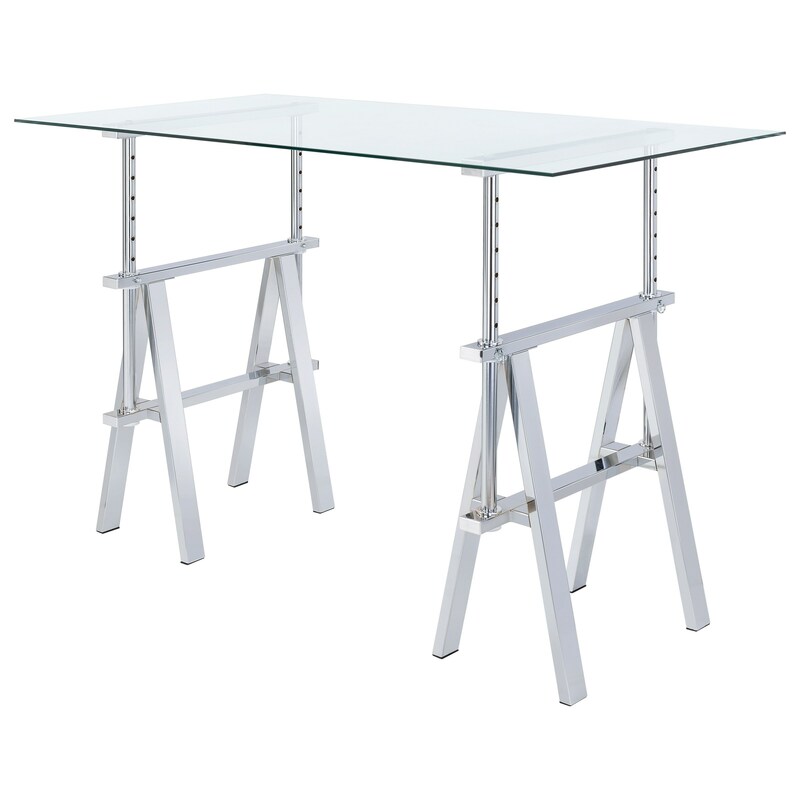 The top of the table is constructed of clear tempered glass while the base is finished in shiny chrome. The desk is adjustable by two inch increments and can range from 30 to 42 inches high. The Adjustable Writing Desk with Sawhorse Legs by Coaster from Nashco Furniture - Nashville. We proudly serve the Nashville, Franklin, Brentwood, Clarksville, Green Hills, Davidson County, Williamson County, Tennessee area. Product availability may vary. Contact us for the most current availability on this product.